July 9, 2011, Sticky Media Solutions Inc. created another team building activity, held at Seaside Bible Camp, Opol Cagayan De Oro City. The event was composed of three departments’ gearyseo, date.com and valorebooks. Never did we expect that it was a burst of fun since that place was considered to be a sacred and solemn place. We are all band to say cursing words, no smoking, no smooching and all there 300 rules to follow while we stay in the place. And yes! We did it! 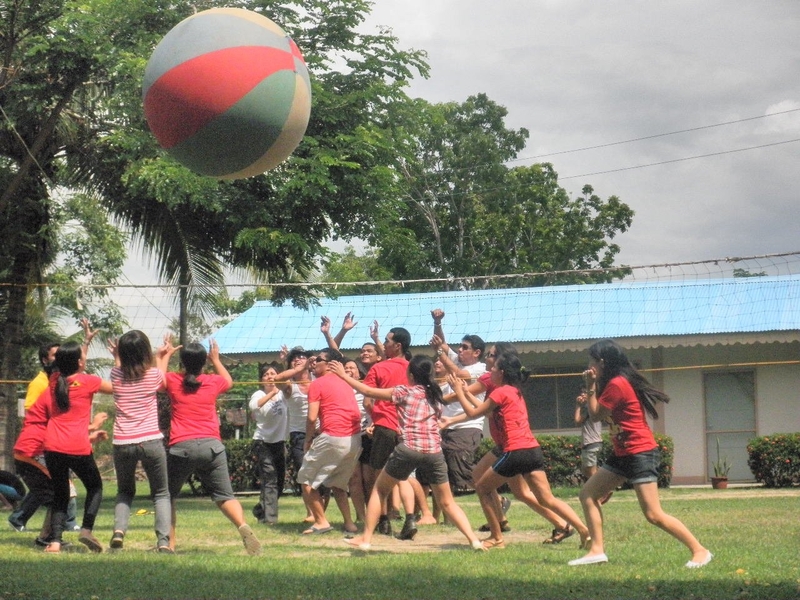 The team building activity was composed of indoor and outdoor activities. During the indoor activities it was just light and relaxed. 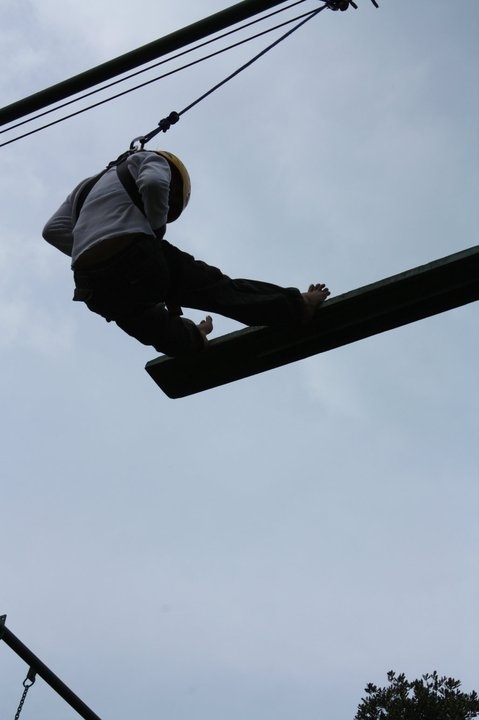 But when it comes to our outdoor activities oh it was full of fun, shouting and screaming. Imagine, we did board walk, pick the donut, tag of war, volleyball using super big ball and lastly my most remarkable experience that day, the confidence coarse challenge. Yes, all our strength was tested, group coordination, strategies and most of all the fighting spirit was all kicking. I couldn’t imagine myself joining those challenges, all my strength was poured out. But so fulfilling! The spirit of unity was there, it inclined with the talk of an intern pastor before the activity started, that “unity is through humility”. Everyday is unique gift and whatever opportunities that is open and free I’m grabbing it! It’s only happens once and I don’t want to miss it. Experience is the best part of living and I’m enduring all my experience that day. It might be that simple and ordinary activities but I super love it! Hey, guys I can’t get over with my confidence coarse challenge. I want to embrace that feeling of fear again mixed up with excitement. 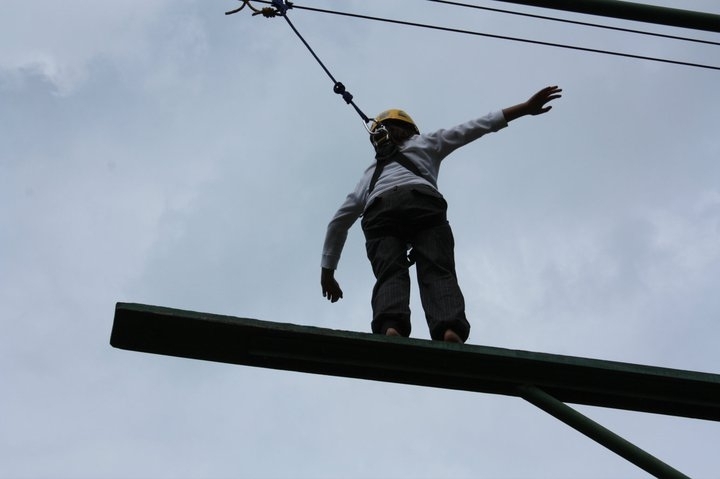 You know what, when I feel that mixed emotions I’m definitely going crazy as if I’m out of this world..wahhhhhhhhhhhh…I do shout, scream and jump before I’ll do such level of adventure! 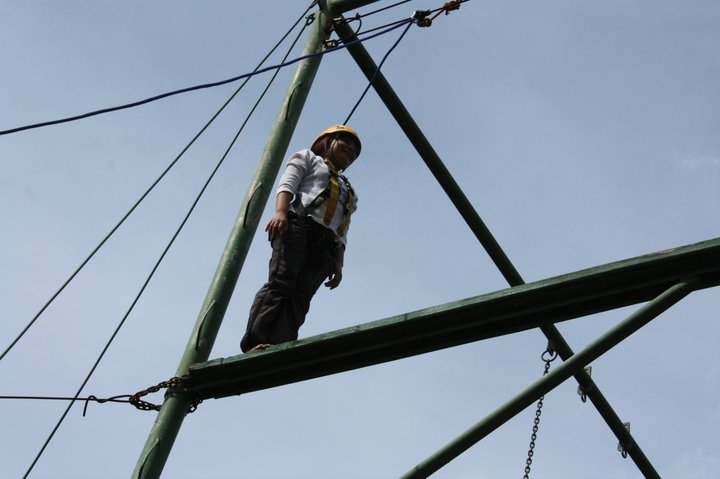 It was definitely high but there was a protective harness being put in your body. The scenario was you need to jump from one place to another but you need to walk within the wood board and jump with 1 meter distance to the other side of the board. Whoooooohhhhhhh, a tense feeling was there, the board was so shaky that you need to balance well. Lucky me! I got to jump to the other side successfully. The feeling was awesome, relief and fulfilling. Fight your fears! The key is confidence..hehehe.. The board is really shaky! Relax..relax.. The other side of the board now. I made it! Yehey! Going Down!! !..slowly, easy and dropped!